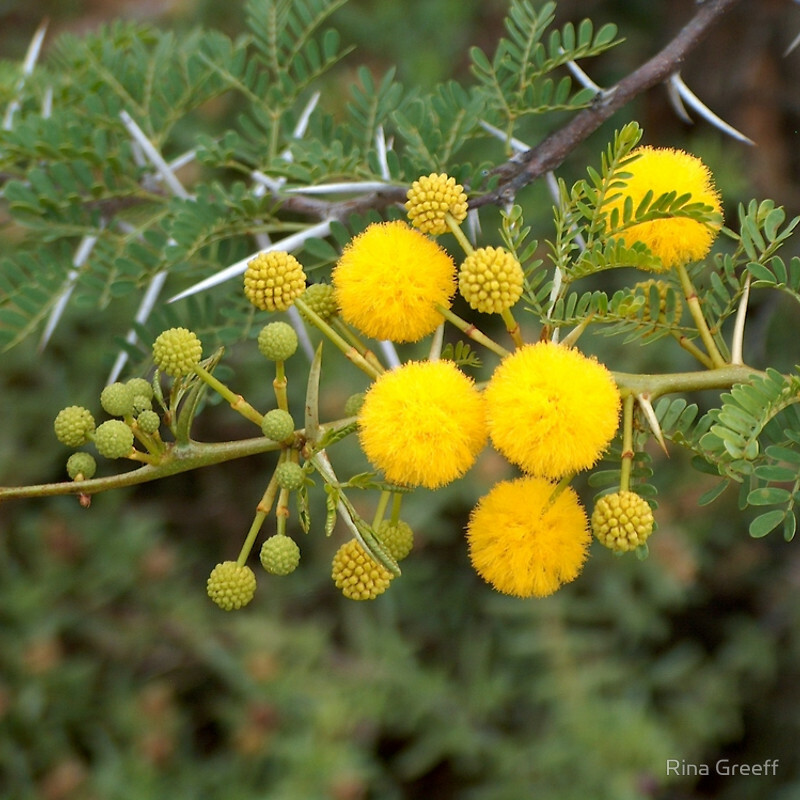 Vachellia karroo, also commonly known as the Sweet Thorn, is part of the acacia specie and native to southern Africa. 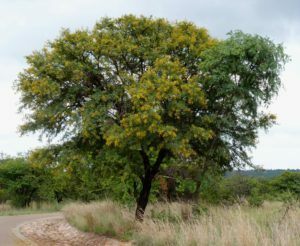 These trees can grow up to 12 meters and is recognizable by its rounded crown, yellow flowers, finely textured leaves and twin thorns. The bark is red while young and will with time become rough and a deep reddish colour. These trees have a life span of 30 – 40 years with a long tap root. The flowers appear in early summer after good rains. The seed pods are narrow, flat and green with a crescent shape. The pods will turn brown when dry, it will then split open allowing the seeds to fall to the ground. 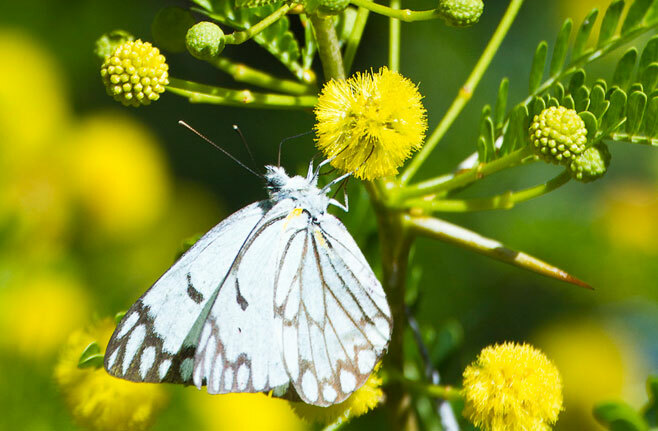 The thorns are paired, greyish to white and are long and straight. 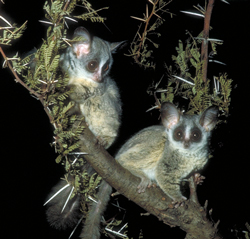 Edible gum seeps from cracks in the tree’s bark, and is important food for the Bush-baby’s winter diet. The tree is especially useful as food for domestic and wild animals, like goats. The flowers make a good source for honey bees, and honey from the Sweet Thorn has a pleasant taste. The Sweet Thorn tree make an excellent firewood, and the wood is also used as fencing poles in making a kraal. Traditionally the inside of the bark was used to make a tough rope with.